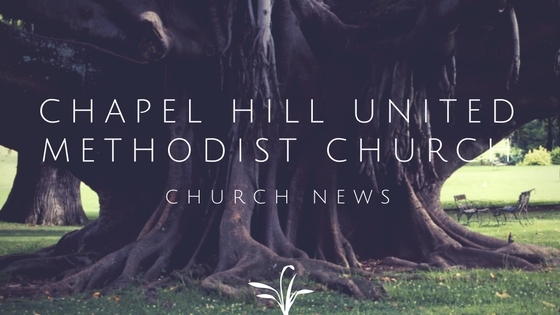 We invite you to Get Involved here at Chapel Hill UMC. Why? Well, it is a fantastic thing to be part of a Church community, to grow in your love and knowledge of who God is and the life God may be calling you into. If you have questions about any of the news or events on this page, feel free to email our Connections Coordinator. Want to look at the newsletters from last year? Click HERE!